Dr. W. Ron Wilson is pleased to be able to offer beautiful smiles to his neighbors in Butte County and the surrounding area. 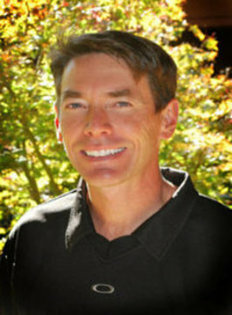 Dr. Wilson earned his dental degree from Loma Linda University, after earning his bachelor's degree from Pacific Union College. He has taken numerous postgraduate education courses, specifically selecting courses focusing on cosmetic dentistry. He has recent training in dental implants, specifically for placement in less-than-ideal sites, allowing him to incorporate this treatment into his practice and give you the smile of your dreams. Dr. Wilson's commitment to lifelong education means that he is constantly evaluating emerging dental methods and technologies in order to provide his patients with the best results in the least invasive manner with a high emphasis on comfort. This commitment ensures you the highest level of care, both today and tomorrow. He and his wife, Heather have five children, and in his spare time, he enjoys water skiing, surfing, sailing, flying, and restoring old cars.